Asus launched Asus ZenFone Zoom - Dual SIM Android Smartphone. Asus ZenFone Zoom has 5.5 inch Full HD IPS display and is powered by 2.3 GHz 64-bit Intel Atom processor Z3580 processor along with 2 GB RAM and runs on Android Lollipop 5.0 OS. 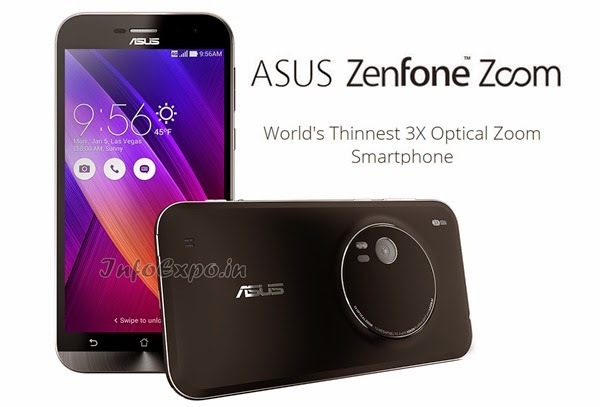 Here is the Specifications and features of Asus ZenFone Zoom.